Higher life is another dimension of life; it’s a different life from the one everyone is comfortable with. It’s far above the average life we see around, it’s not costly but expensive; you pay a price for it but not money. It’s not the desire of many who can't pay the price, and those who can, won't pay. Higher life is a luxurious life, an extravagant mode of living, a state of fulfilment and higher comfortability. A state where you decide not to settle for the less but the best. A state where you object not to give up on your dreams. A state where you are overwhelmingly committed to raising your standard above everyone else. A state where your heart desire is to be the best and nothing but the best. A state where realising your goals and ambitions becomes the reason why you are still living. In short, higher life is beyond living a normal life, its an extraordinary one, its uncommon. So how will you attain this life? Higher life is personal and it is a personally designed life, a life you really want, so to attain it, you must be willing. Our intention creates our reality. This type of life can't be forced on you; it solely depends on what you want. It’s impossible to have personal freedom without inner desire. So, the most important requirement to attain this height is genuine willingness. 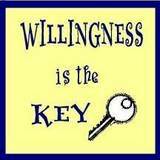 Willingness is the Key. All progress remain at a state of rest until a mental force is applied, that mental force is your willingness. If you want it, you can have it. If you don’t genuinely do, you won’t, because the way to it, is like that of a mountain. Without strong determination and willingness, you can’t reach the top of a mountain. The next question I want to answer now is what can hinder you from attaining this higher life? You can have the willingness to live it, but some situations can hinder your ascension into this life. Focusing on your weakness can deprive you this type of life, it can totally kill your confidence even if you are willing. To disallow this distracting factor, you need to focus on producing the best with your strength. Maximising your potentials. If you productively engage your strength, people won't notice your weakness. Discover your uniqueness and discipline yourself to develop it. 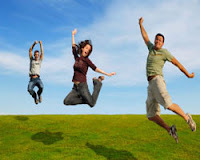 Attaining the higher life is maximising your strength in a more productive way. Another hindrance which you may encounter on your way to living this life is lack of identity. If you don't know who you are, it will be a struggle getting to the top. Your knowledge about your real identity will help you in various decision making and prioritisation. Most people are other people. Their thoughts are someone else's opinions, their lives a mimicry, their passions a quotation, so take time to identify yourself, this, in addition to your strong willingness and strength will make quicken up the process of attaining the higher life you long for. Accepting defeat and giving up will definitely not get you to the top. Our greatest weakness lies in giving up after a miss. We always forgot success is not final, failure is not fatal: it is the courage to continue that counts. Trying times are not the times to stop trying. One person with commitment, persistence, and endurance will accomplish more than a thousand people with interest alone. 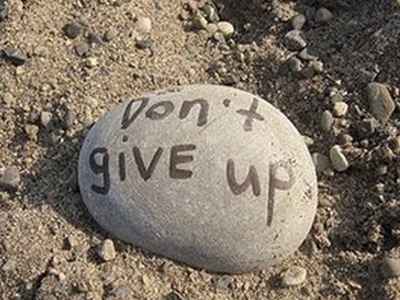 No matter how many mistakes you make or how slow you progress, you are still way ahead everyone who isn't trying, so giving up shouldn't be a simple option, it must be the hardest thing for us to do and I know when it becomes too difficult to do, success has no choice but to submit to our calling. Finally, don’t be overwhelmed with challenges, don’t let them bring you down, they are part of life; another means by which we acquire more knowledge and experience. They make us stronger. Challenges can be your road to the promise land and the higher life you desire. What you must do is to look for ways by which you can turn them into opportunities. Many technology inventions are challenges and problems turned into opportunities. So embrace your challenges and deal with them until they are no more a problem, don’t let them weigh you down, engage them, see them as opportunities to prove your doubters wrong, and they may be what will take you to the life you desire.